﻿ KONpro – KONČAR Elektronika i informatika d.d. 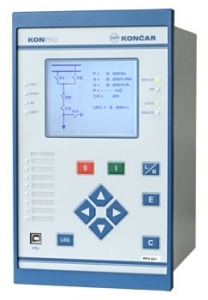 Series of numerical devices with an integrated set of functions for protection, measurement, management and monitoring of primary equipment of power systems and installations in the distribution of electric energy and industry. Bay terminal RFX combines the functions of protection, control, measurement and monitoring in the field of a power plant. 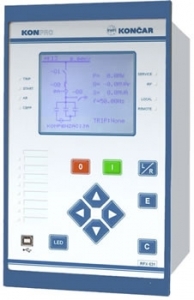 HMI design allows the display of a single pole bay diagram with the status of all apparatus, logical blocking of the apparatus and display of current electrical values. RFX offers a complete range of protection functions required for a reliable protection of medium voltage, as well as points of connection for distributed sources. RFC offers a complete range of protection functions required for reliable protection of medium voltage capacitor banks and also measuring and managing them. 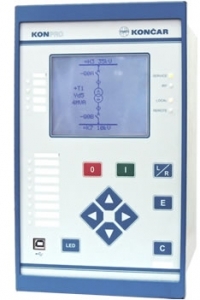 HMI design allows the display for a single pole bay diagram with the status of all apparatus, logical blocking of the apparatus and display of current electrical values. Navigation keys and buttons for managing the apparatus allows operating personnel to quickly select the desired apparatus on the LCD screen of the device and issue the appropriate command. RFD offers a complete range of protection functions required for reliable differential protection of medium voltage transformer. HMI design allows the display of a single pole bay diagram with the status of all apparatus, logical blocking of the apparatus and display of current electrical values. The function of thermal control for the transformer allows continuous monitoring of the temperature in seven measurement points using the RTD element. Relay type RIUX is the of KONPRO generation of protective relays, designed to protect medium voltage power plants and in the distribution industry. RIUX offers a complete range of protection functions required for reliable protection of medium voltage feeder bays. Integrated directional protection functions with energy direction supervision enable swift protection of radial and ring networks. 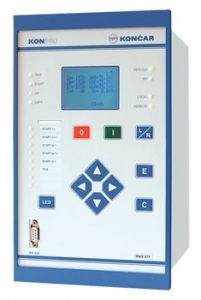 The most important features: local and remote indication of the current measured values, control of the apparatus in the bay, control of the circuit breaker, recording of electrical values during failures and transmission of data to the SCADA system. 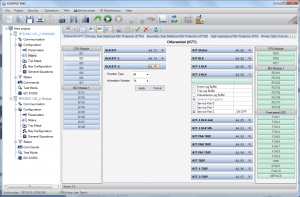 RMS, software for configuring of the KONPRO series devices, allows you to easily configure all devices of the KONPRO series, monitoring their inputs / outputs and measured values, and by using the test mode much easier testing of the SCADA systems. It also allows remote reading of failures over the loop for protection engineers and saving them in a standard CSV format. It contains KONview application for review of disturbances recorded in the CSV format.